Marion K. Arcement Nelson, age 84, of Picayune, Mississippi passed away Wednesday, June 13, 2018. Visitation will be held Tuesday, June 19, 2018 at Picayune Funeral Home from 10:00 a.m. until 12 noon, a Funeral Service will follow at Picayune Funeral Home Chapel with Chaplain Justin Daniels officiating. Mrs. Nelson had lived in Picayune for 13 years, was a retired bookkeeper, and a Catholic. She is survived by three sons: Don Short, Harry Luke, and Christopher Nelson, all of Picayune; two daughters: Peggy Luke and JoAnn (David) Skeins all of Picayune; 2 grandchildren, Cheri & Jordan and three great-grandchildren, Jorden, Jaleigh and Fred. 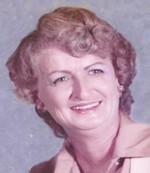 She was preceded in death by her Father, Louis M. Arcement; her mother, Ruth C. Newell; her husband, Raymond Nelson; her brother, Louis C. Arcement; and three sisters, Shirley Navilhon, Colleen Martinez, and Jean Stambaugh.